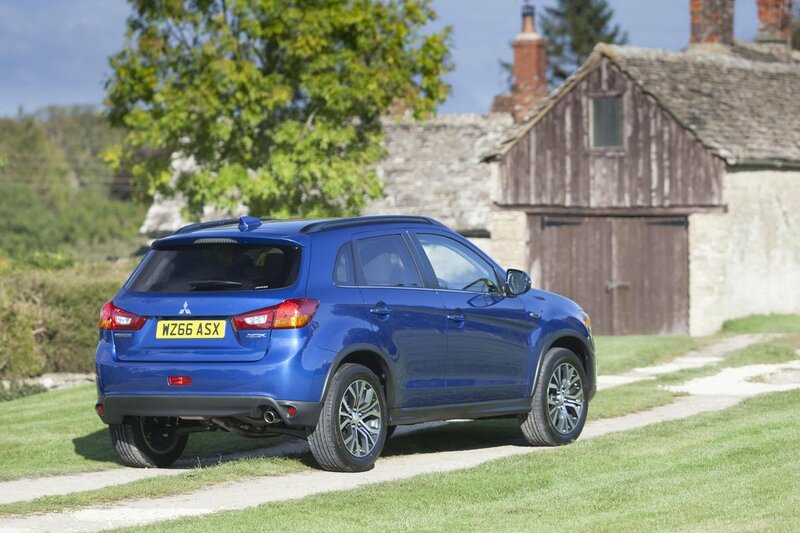 Mitsubishi ASX Interior, Sat Nav, Dashboard | What Car? The dashboard is simple and sensibly arranged, with straightforward rotary controls for the air-conditioning and a high-stacked centre console that’s easy to see and reach. The digital display between the instrument dials is rather small and hard to read, but there’s plenty of foot space around the pedals. All versions have a steering wheel that adjusts for both reach and height. The driver’s seat is comfortable to sit on, but doesn’t support you very well in corners, leaving you hanging on to the steering wheel for stability. All models have seat-height adjustment and top-spec cars have a four-way electrically adjustable seat. An extendable front central armrest is standard on all trims apart from the entry-level 2 version. As well as the raised driving position that SUV buyers crave, the ASX has reasonably slim front pillars, so you get a clear view of the road ahead. 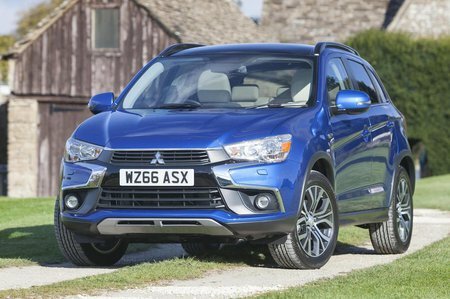 Large door mirrors help you to see what’s drawing up alongside, but the ASX’s tapering roofline results in a fairly shallow rear screen, and that can make reversing into a tight spot a little tricky. At least all-bar the entry-level models come with a rear-view camera and front and rear parking sensors are available as a dealer-fit accessory. 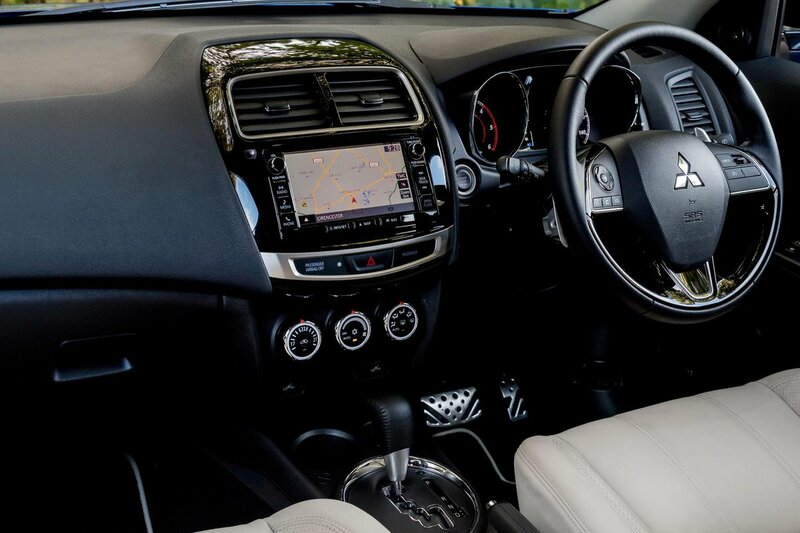 All ASX models come with Bluetooth connectivity and a USB port, but there’s no touchscreen or DAB radio on the basic 2 trim. For that you need to upgrade to 3 trim, which has a 6.0in touchscreen. 4 trim and above have a 7.0in touchscreen system that adds sat-nav, albeit one of the least effective systems in the class. The screen isn’t particularly high in resolution so the graphics look fuzzy, it’s not very responsive to inputs and the menus are confusing. The quality of the Bluetooth connection isn’t that great, either, making it tricky to hear or be heard when making phone calls. The Mokka X, Ateca and the Qashqai all offer more modern, more useable alternatives. The design of the ASX’s dashboard looks quite attractive, and higher trims get gloss-black finishes that add to the interior’s ambience. Start prodding the surfaces or scrutinising the materials with more conviction, though, and you’ll find an abundance of hard, shiny plastics. And while it generally seems well screwed together, there are areas where it lacks solidity, such as the way to the centre console moves slightly if you put your weight against the armrest. In short, it feels cheaper inside than seemingly plusher rivals, including the Nissan Qashqai and Seat Ateca.